Integrated Dermatology (Washington) - Book Appointment Online! At Integrated Dermatology, our highest priority is to deliver high quality dermatology care to patients. At our two downtown locations, we offer comprehensive dermatological services, including the latest in medical, surgical, and cosmetic procedures. 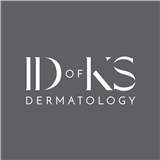 Integrated Dermatology offers state-of-the-art treatments and leading-edge technology to meet all your skin care and dermatology needs. Our board certified dermatologists, Dr. Agnes Chang, Dr. Clinzo Mickle, Dr. Jennifer Hensley, Dr. Urvi Gonzales, Dr. Zain Husain and board certified physician assistants, Allison Senerchia, PA-C, Victoria Bennis, PA-C, and Garry Jelen, PA-C, are experienced and compassionate providers who know the field and can effectively diagnose and offer the best treatment. Please visit our website at www.washingtondcderm.com for more information. Very professional, cheerful and quick. Dr. Riyaz is professional, knowledgeable, and caring. His bedside manner is superb. I appreciated his patience and thoroughness. I highly recommend this practice. The doctor was prompt and efficient. She was helpful and gave me tips on what to look out for in the future, as well as answering additional questions I had about my skin.